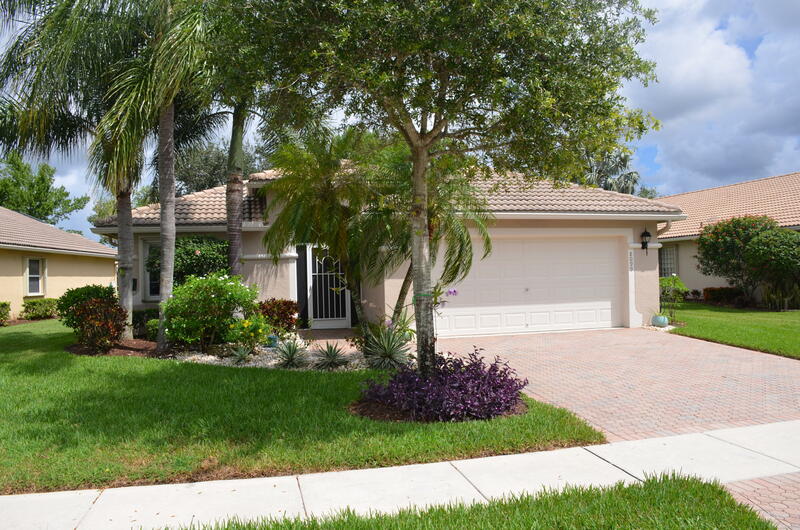 Pride of ownership shows in this beautiful 3 bedroom, 2 bath lakefront home located in sought after Venetian Isles. This home features an open floor plan, great for entertaining. Other features include diagonal tile throughout, 42 wood cabinets in kitchen, brand new a/c, washer and dryer only 2 year old, and fenced in yard, great for pets. Accordion shutters and generator with hook up. Home is completely furnished and turnkey just in time for season. Furniture can also be removed. Venetian Isles offers resort style amenities, including clughouse with theater, ballroom, card room, library, fitness center, aerobics room, sauna, and more! There are also 8 Har-Tru tennis courts, as well as Bocce Ball courts and a putting green. Lots of daily activities and shows. Will not last!! !